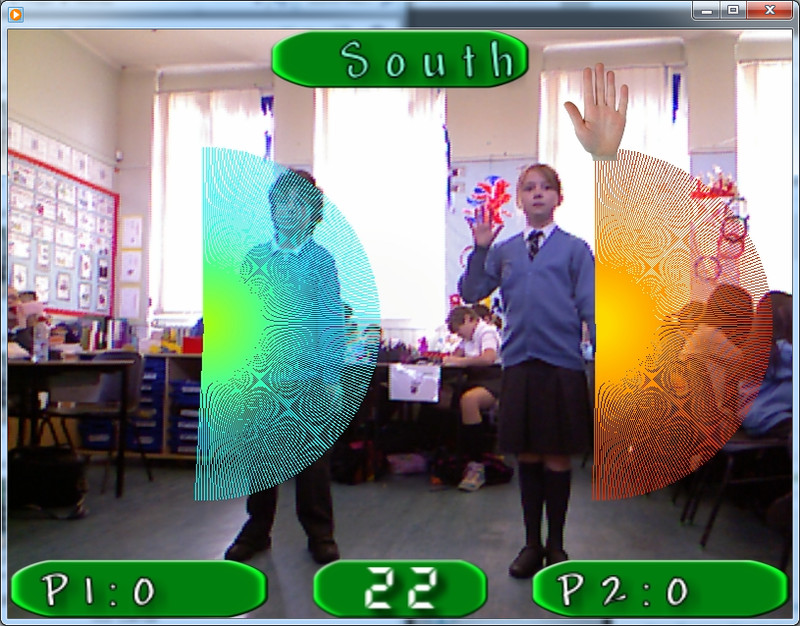 New release of Kinect Angles Version 2.2. This contains a few bug fixes and makes it easier to perform 360 degrees in the game as I’ve removed the ability to put the angle to zero, it instead defaults to 360. 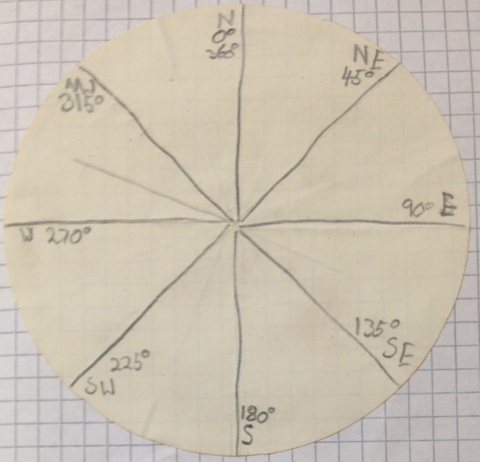 This release also has a brand new game mode, which I added after I noticed in one of my daughter’s jotters a diagram on compass bearings. So I added a new BEARINGS mode, where EAST is 90 degrees, SOUTH is 180 degrees etc. I did another pilot of the game at Lochfield Primary School in Paisley today and tested the new BEARINGS mode, along with trying out the other modes again. The game went down really well and the kids commented on how much fun it was to learn this way. I also used FRAPS today to record the game in action and I’ve posted a video on youtube showing the game in action along with some of the best still images the game has captured over the past few weeks.